supplies power and recieives signal from the other two instruments. 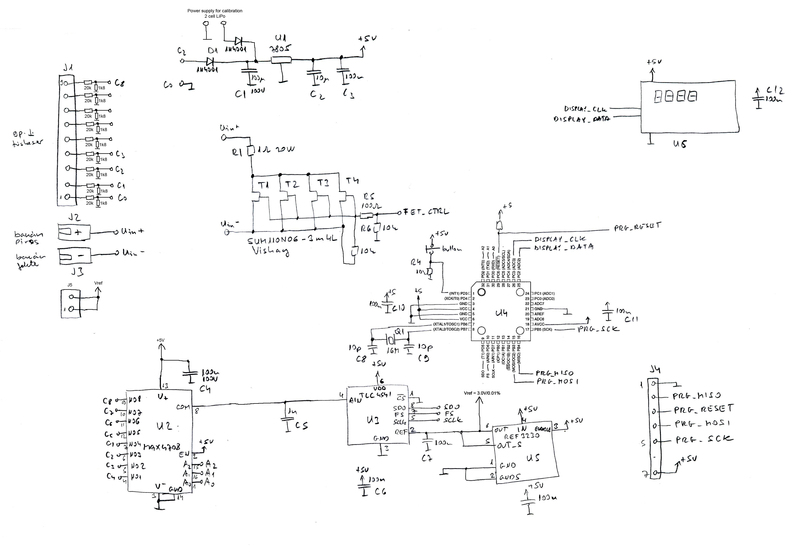 The below documents describe the first version of the pcb. The final design is modified. Please check the schematic for correct PCB modifications. The below program code is for operating all the three instruments. 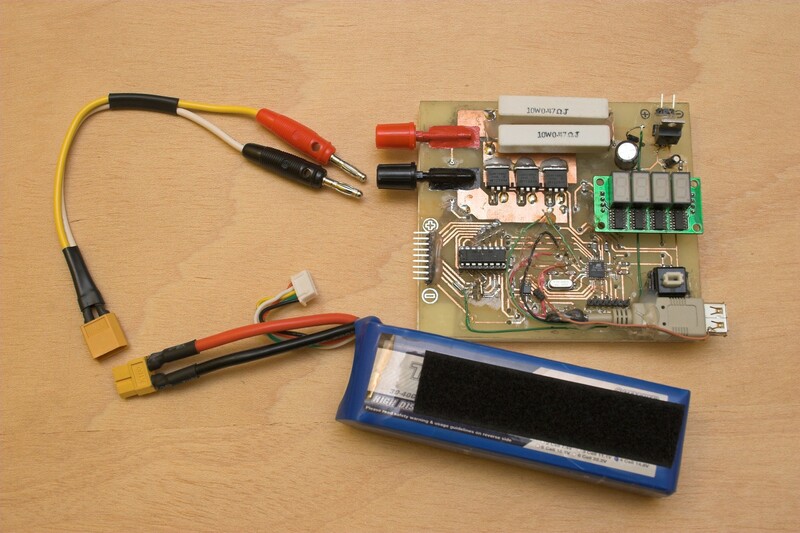 This device can be used to measure the internal resistance of Lithium Polymer batteries used in electric RC models. The power consumption of these models is quite high, and the batteries wear out in 100-200 recharge cycle. The internal resistance is a good measurement of the age of the batteries. New cells are below 5mohm, and the ones at the end of their life are above 20mohms. It also depends on the original quality. The only problem is that I don't know how the internal resistance is defined, so I made my own definition, and I measure that: The battery is fully charged, cell voltage is about 4.2V. The unloaded cell voltage is measured. 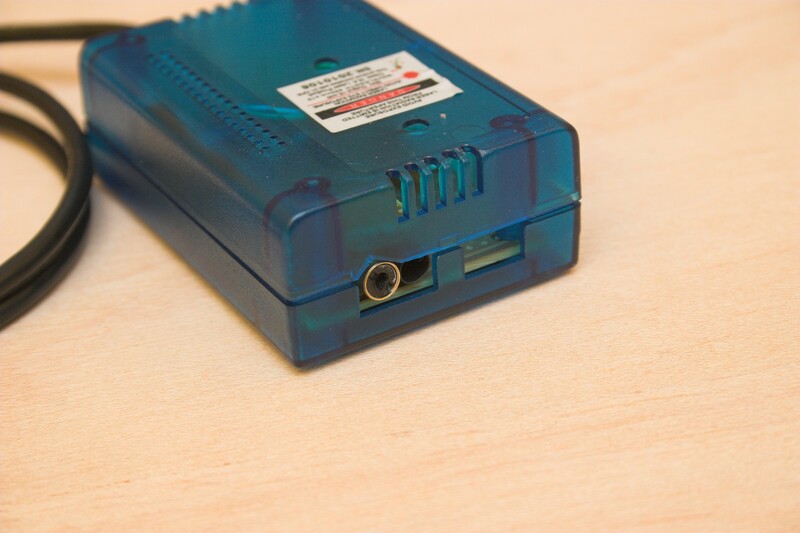 Than it is loaded with 1ohm for 2.5ms, and the loaded cell voltage is measured. The load current depends on the number of cells (N*4.2V/1ohm) and the time of loading. I experienced that the voltage falls immediately to a low value, than rises again in about 100us. Than falls exponentially to a lowest value in about 2.5ms. Than it remains constant for long enough time to measure all the cells. In case of a 8 cell battery the voltage is about 33.6V, the load current is 33.6A so the 20W resistor is loaded by 1130W. - Accuracy of Rin measurement: estimated 6% due to the accuracy of the load resistance and the RDSon of the FETs. 1. Connect the battery balance connector to J1, main current connector to J2 and J3. Press the button when the required mode is displayed. In this case: "rin"
"C(n)=(unloaded voltage of cell n[V])"
For calibration an accurate 19.0V voltage source will be used that can supply about 500mA current. - Although the calibration is done at about 2/3 full scale there is about 1% inaccurancy at some voltages. - The PCB is hacked since the last pdf-print! The measurement is based on the light intensity changes when the propeller blade passes in front of the sensor. It does not matter that the blade shades the light, or reflects it into the sensor, the change is detected anyway. If the display does not show a consistent value try to change the way of light to make bigger contrast. Use the point of the laser that can be seen on the rotating propeller to avoid touching the blades with the instrument. Press the button when the required mode is displayed. In this case: "rPM"
or wait about 2 seconds or until the sensor senses the first light change. 6. Anytime you press the button you get back to point 4. 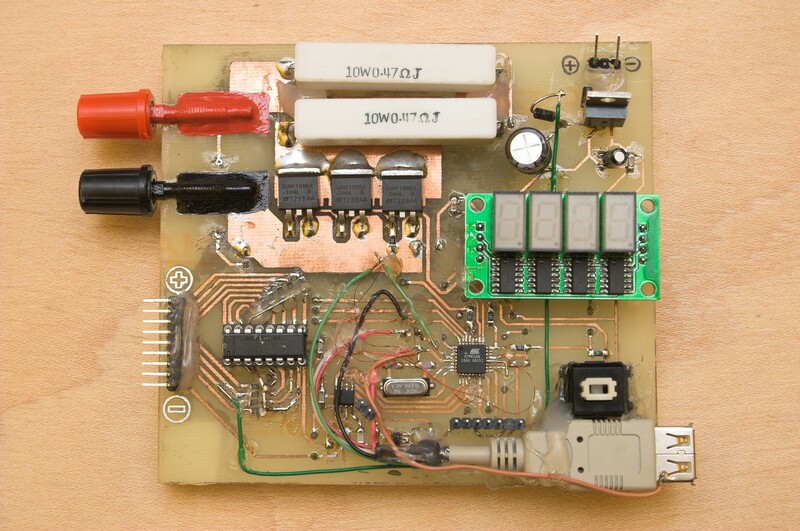 A hall efect sensor (disassembled from a floppy drive) is placed between the negative and positive current conductor. The signal of the sensor is amplified. 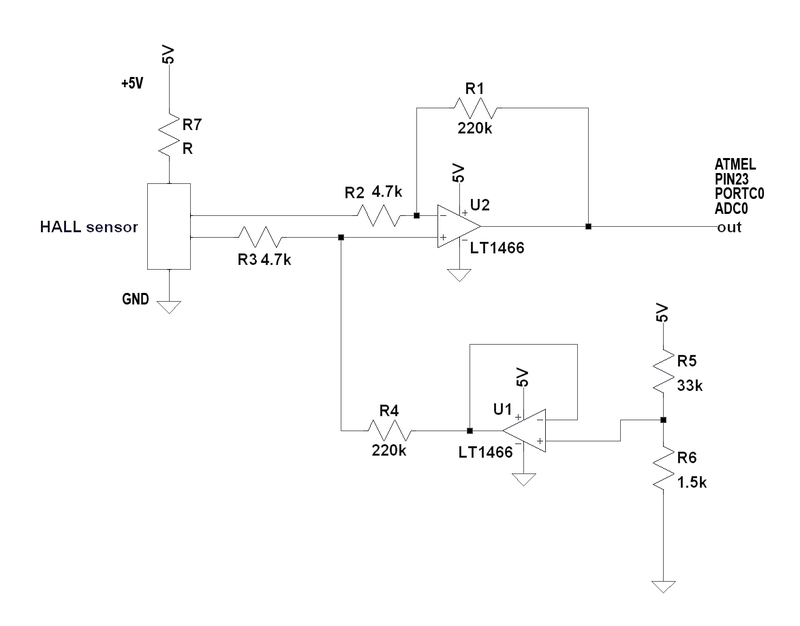 A simple shunt resistor can also be used, and that gives a precalibrated current signal. 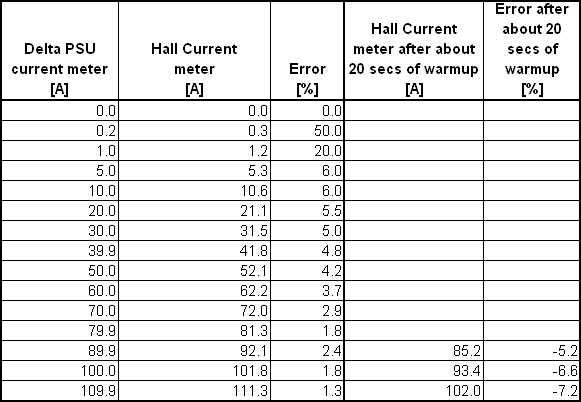 The signal of the hall sensor depends mainly on the relative placement of the tensor and the current conductors. The advantage of the hall sensor is that it can not be overloaded. 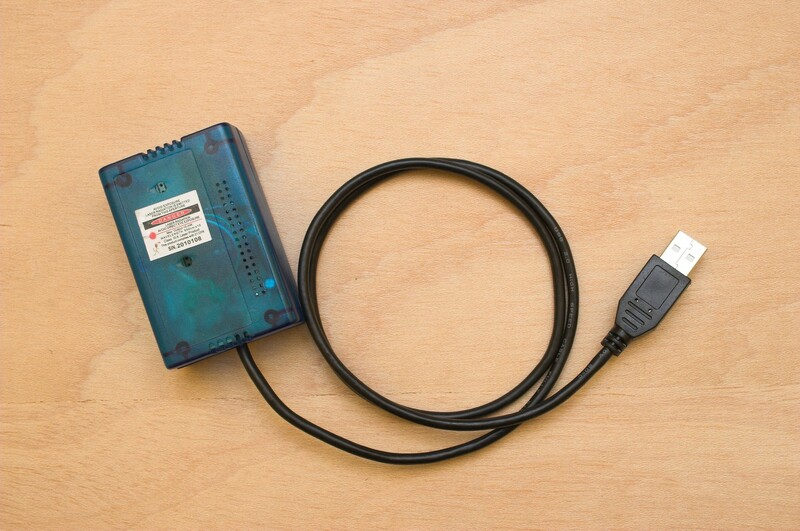 The hall sensor is sensitive to the magnetic field of the Earth. While in the measurement do not move the sensor. This version is caplibrated to a 110A bench power supply. 1. 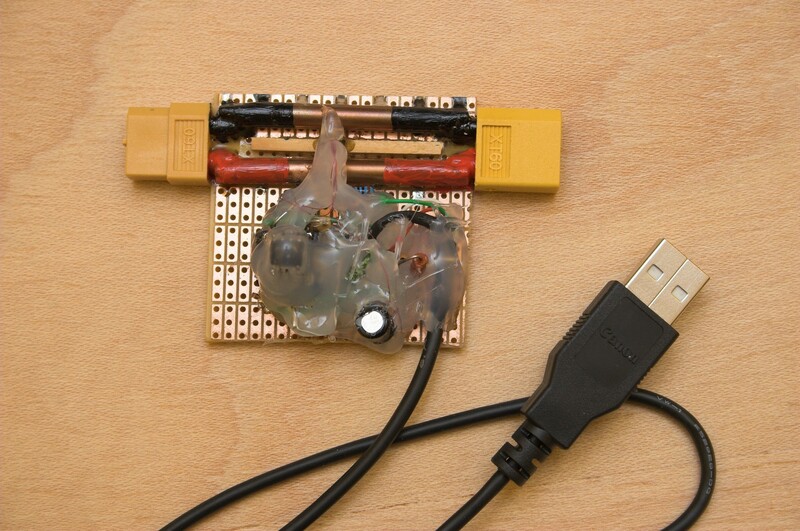 Connect the current sensor between the battery and the ESC. Place it at the position where it will reside during the measurement. The instrument calibrates the offset caused by the Earth magnetic field. Press the button when the required mode is displayed. In this case: "Curr"